What happens if you’ve been terminated without cause and subsequently become disabled during the reasonable notice period? 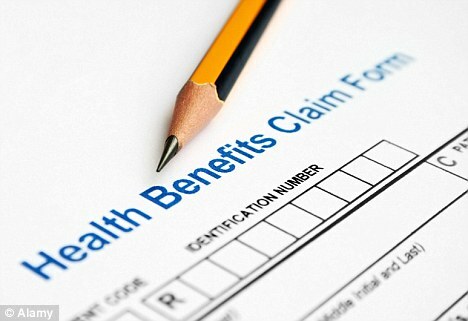 Does your employer face any potential liability in terms of ongoing benefits in such a case? The Ontario Court of Appeal case Brito v. Canac Kitchens, 2011 ONSC 1011 61 can shed some light on this issue. The Plaintiff was terminated without cause at 55 years of age, after having served 24 years at Canac Kitchens, a cabinetry company. Fortunately, the Plaintiff found alternate employment within two weeks of his termination. However, in contrast to what was provided by Canac, the Plaintiff received a much lower rate of compensation and had no disability benefits in his new position. About a year and a half later, the Plaintiff was diagnosed with cancer and underwent a series of intensive treatments. The Defendant provided the Plaintiff with only eight weeks’ disability coverage upon his dismissal. Eventually, the Plaintiff sued Canac for damages for wrongful dismissal and associated benefits, including the short-term (“STD”) and long-term (“LTD”) disability benefits to which he claimed he would have been entitled, had he not been wrongfully terminated. An employee who has been dismissed is entitled to be “made whole” during the reasonable notice period. As such, the trial judge in this case held that the termination was wrongful, and that the appropriate notice period was 22 months. As a result, the Plaintiff was compensated for lost employment income for this period of time. The trial judge held that the Defendant chose to provide the Plaintiff with the “bare minimum” when it came to disability coverage. That is, it only provided the Plaintiff with the minimum required by statute for pay and benefits. Arguably, the most important issue to decide in this case was whether the Defendant was liable to pay LTD benefits that the employee would have received under the policy had his coverage continued during the notice period. Justice Echlin concluded that the Defendant was liable to pay the LTD benefits the Plaintiff would have received under the policy until age 65, valued at approximately $200,000. The Defendant made the argument that the Plaintiff had failed to mitigate his potential damages by not purchasing replacement disability coverage. The trial judge rejected this argument, stating that Canac did not provide evidence that comparable coverage was available to the Plaintiff. The trial judge also awarded ancillary damages in the amount of $15,000, due to what he viewed as the Defendant’s harsh, malicious, reckless, and high-handed treatment of the Plaintiff. One year after this case was decided, Canac Kitchen appealed the decision to the Ontario Court of Appeal (Brito v. Canac Kitchens, 2012 ONCA 61). The Court dismissed the LTD portion of the appeal, stating that the Respondent was rightfully entitled to his LTD benefits. The Court was satisfied that the Respondent had met his burden to establish his total disability within the meaning of the disability plan. The $15,000 ancillary damage award, however, was set aside on appeal. Brito is an important decision with serious implications for employees who have been terminated and later become ill or disabled. While not all insurance companies provide LTD coverage for employees over the statutory or common law notice period, some do. It is important to know exactly what type of insurance you have, and to understand the options available to you in situations of termination. If you have been wrongfully denied disability benefits by your insurance company, or by your employer, contact Monkhouse Law to inquire whether a legal remedy is available to you. To arrange your free, confidential, 30-minute phone consultation, make sure to contact us today.